Dr Turner is in the core of game jams. It is experimental and slightly cuckoo, yet simple and polished. The design choices and selected audiovisual techniques tie well to the game mechanics, and fit perfectly to a bus jam production – Dr Turner manages to create an atmospheric experience with scarce assets. And like a great piece of art, it has a lot of hard to define personality. A strong focus on the central character makes the experience whole and well-defined. Mielen Peili – iliep neleiM (Mind Mirror) succeeds and innovates on several fronts. It is presented through an AR system fashioned out of Oculus Rift, 2 webcams and Legos, giving the viewer “a first glimpse of the reality in full 3D”. For many, this would have been enough, but the game has also lot to offer content-wise. The minimalistic gameplay has the player search his surroundings for ominous piece of poetry put together procedurally. Slowly but surely the player slides towards hallucinations and madness, which are cleverly realized by rendering the cameras in Unity video textures and custom-made shaders. The growing feeling of schizophrenia is also amplified by whispers coming seemingly out of nowhere. This thought-provoking experience actually manages to induce a mild hypnotic effect. Rolling Gecko Buddies Saga: Sweet As Candy Edition has a true game jam flavor in it. With its ridiculous yet sweet 80’s inspired interactive title screen, engaging and competitive gameplay – the game challenges the players to match their gecko’s color to the background by using DJ Hero controller’s Red, Green and Blue buttons. The game is an action-packed 2-player game complete with YEA BOE! and Airhorn -spam buttons to ensure the enjoyment of the players and spectators alike. This game is not recommended for the casual colorblind players. Virtual Blindness offers a chilling experience of escape, danger and enemies, but doesn’t settle in that. In addition to the claustrophobic feel of going through the unknown corridors, it strips the player from one of the most vital senses: the sight. Through Oculus Rift and Razer Hydra player is successfully sent into the world of the blind, “seeing” only things that are touched or heard. Super Mecha Siblings EXTREME’s concept and arrangement is an example of good party game design – the simple rules are just enough and not too much to amplify the social interplay of friends crammed in front of a single keyboard. The game provides a platform for different kinds of social play and inevitably the main game is played outside of the screen space. The cherry on the top of SMSE is its cuddly and warm take on mechs. 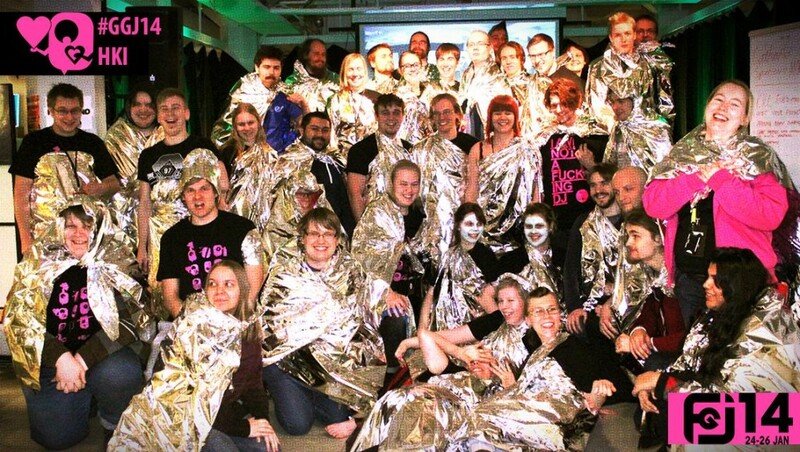 We are very proud to have sponsored the 2014 edition of the Finnish Game Jam. With more than 700 registered jammers spread out in 14 different locations in Finland (including a moving one) this year’s event was the biggest FGJ yet! We want to thank all 2014 Finnish jammers who participated and shared their passion for games during the weekend. Also, we hope that our space blankets kept you all warm and cosy. By the way we are continuously looking for talented people to join us. At the moment we are looking for programmers and artists. So if you think you would make a great addition to our grand crew do not hesitate and apply now! Find open positions on our website: http://grandcrugames.com/ or send an open application to careers@grandcrugames.com. The game jam is over, thank you! The Global Game Jam is over. The official global statistics will come later, but at the moment we can say that during last weekend people jammed games in over 480 locations in more than 70 countries. In Finland, we had 14 locations, 644 jammers and 161 games. That is again another record from all of the three aspects. And as always, awesome games were made! You can relive the atmosphere by watching videos from the sites, checking out pictures from Facebook and, of course, by playing the games! Check out them all from the Games section and watch gameplay videos from our playlist. Thank you everyone involved – the sponsors, the organizers, the jammers – and everyone else. Next year again! All the locations are jamming and it’s now safe to reveal the theme! Can’t wait to see what kind of games will come out of this theme! All Finnish sites are hard at work. And you can follow the action! Finnish Game Jam 2014 is almost here – bigger than ever! While there’s still a few hours until the kick off in Finland, some sites are already jamming. Finland will join the GGJ14 in a while, and with more locations and jammers than ever! Just when we thought we might have reached the peak of game jamming in Finland last year, the jam people showed us wrong. There’s over 700 registered jammers in 14 different locations! FGJ14 spreads all over Finland: from Rovaniemi to Helsinki, from Satakunta to Pohjois-Karjala. And even more awesomely, there’s one site that will tour quite a few of these locations: a game jam bus! That’s right, one moving location, where some of the stars of Finnish game industry and game jam scene will make games on the road! Without a doubt, this will be one helluva ride! The Game Jam games are even being developed on a bus! The Finnish Game Jam 2014, under the umbrella of the Global Game Jam 2014 once again gathers countless of game developers, enthusiasts and hobbyists to develop games in a 48 hour creative challenge in January 24-26 of 2014. This year, the Finnish Game jam will gather over 600 participants in 14 locations between the polar circle to the industry hotspot Helsinki. What’s unique for FGJ14 is that one of the jamming locations is a bus. Some of the Finnish games industry’s most talented and prestigious game developers will create their Global Game Jam games in the bus, with limited power supply, limited space and minus 10 celsius outside while visiting 7 other game jam sites in Southern Finland over the course of the weekend. The Finnish Game Jam is an event that enjoys a wide support from the industry with its participants coming from many game companies such as Grand Cru, Supercell, RedLynx, Housemarque, Frogmind, Facepalm games, Fragment Production, Remedy and Rovio. This year, the event is sponsored by Sitra, the Finnish Innovation Fund, Grand Cru, the hot social gaming startup and Turku Game Lab, a shared co-working space by the Universities in Turku. The game jam bus journey will be fully documented and the challenging journey can be followed through the Finnish Game Jam 2014 website http://finnishgamejam2014.com/ and hashtag #fgj14. More details on how to follow the perilous, cold and winterly journey through Finland will be posted on the website. The diversifier list has been published! The Global Game Jam has a list of diversifiers that the game jam teams can use and restrict their game with. Unlike the theme that is compulsory and will be revealed on Friday, the diversifiers are completely voluntary and are revealed beforehand. Their main purposes of the diversifiers are to offer more challenge and constraints to experienced jammers and to make it easier to sort and find different types of games afterwards. More information on the diversifiers and how they are used can be found on the GGJ site. The keynote for Global Game Jam 2014 has been announced! This year the keynote will not feature one or two, but three inspirational speakers: Jenova Chen, Kaho Abe and Richard Lemarchand. See more info about the speakers from GGJ site and tune in by checking the previous keynotes from YouTube. Maailman laajin pelinkehitystapahtuma Global Game Jam kokoaa tammikuussa jälleen yhteen tuhansia pelinkehittäjiä harrastelijoista ammattilaisiin ympäri maailmaa. Osallistujien tavoitteena on luoda pienissä ryhmissä peli alusta loppuun 48 tunnin aikana. Tammikuun viimeisenä viikonloppuna, 24.–26.1., sadoilla paikkakunnilla rakennetaankin samanaikaisesti yhteensä jopa tuhansia pelejä. Finnish Game Jam osallistuu tapahtumaan 13 paikkakunnan voimin. Monet pelit soveltuvat hyvin joukkoliikennevälineissä pelattaviksi, mutta onnistuuko niiden kehittäminen tien päällä? Ensimmäistä kertaa järjestettävä FGJ Bussi -kiertue haastaa valitun joukon alan huipputekijöitä kehittämään pelejä linja-autossa matkalla halki eteläisen Suomen. Huoltoasemina toimivat matkanvarrelle sattuvat jamipaikat, joissa pysähdytään lataamaan sekä tekijöiden että kannettavien tietokoneiden akkuja. Bussin lisäksi Suomesta on mukana 13 lokaatiota: Helsinki, Jyväskylä, Kajaani, Kuopio, Kymenlaakso (Kouvola), Lappeenranta, Oulu, Pohjois-Karjala (Joensuu), Rovaniemi, Satakunta (Nakkila), Tampere, Turku ja Ylivieska. Suomen tapahtumat järjestetään osana Finnish Game Jam ry:n toimintaa. Suomi on mukana viidettä kertaa, ja vuosi vuodelta tapahtuman suosio on kasvanut. Myös suomalainen peliteollisuus on tapahtumassa vahvasti läsnä. 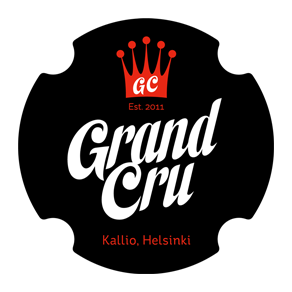 Paikalla on osallistujia lukuisista suomalaisista pelifirmoista, mukaan lukien esimerkiksi Grand Cru, Housemarque, Remedy, Fragment, Kuuasema ja Rovio. Global Game Jam on tehnyt jopa kaksi perättäistä Guinnessin ennätystä maailman isoimpana pelijamina. Viime tammikuussa Global Game Jam keräsi yli 16 000 osallistujaa, joista yli 500 jammaili Suomessa. Kaikki pelinkehityksestä kiinnostuneet ovat tervetulleita osallistumaan, ja ilmoittautuminen Finnish Game Jamiin jatkuu aina 20.1. klo 16 asti. Kaikilla lokaatioilla on rajattu osallistujamäärä, ja osa tapahtumapaikoista on jo täynnä tai täyttymässä, joten ilmoittautua kannattaa mahdollisimman pian. Ilmoittautua voi osoitteessa http://finnishgamejam2014.com/. Tapahtuma on osallistujille ilmainen. Tapahtumaa sponsoroivat Sitra, Grand Cru ja Turku Game Lab.